Don’t worry – Fantasy Kit Friday isn’t going anywhere, this is a new weekly series to complement it. We’ve taken the ‘mashup’ term from our friends at Hull City Kits – basically, it means any kit which is worn with elements different to its default setting. While many of those featured across the series will be one-offs, it’s not a prerequisite that that is the case, just that the kit is memorable, for whatever reason. We begin with a very notable example worn by Celtic against Leeds United in the 1969-70 European Cup semi-final first leg. 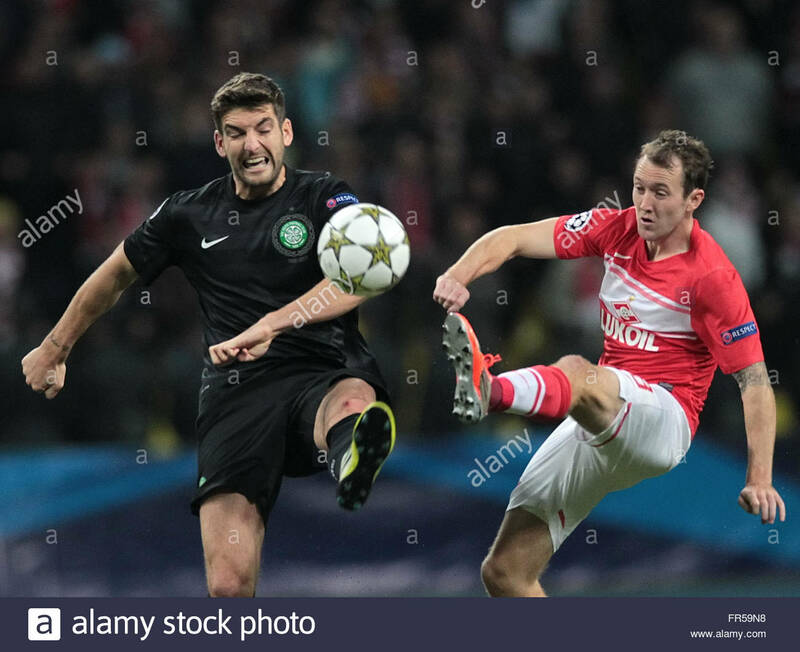 It’s not totally unknown for Celtic to wear their famous hooped shirts with alternative shorts or socks, but nowadays, they tend to prefer to wear a change kit when such clashes arise. While West German referee Gerald Schulenberg had no problem with the Bhoys wearing green and white tops at Elland Road on April 1, he did insist that there be a change of socks (it’s interesting to note, though, that when AC Milan met Marseille at the quarter-final stage in 1991, their game at the San Siro saw both teams in white shorts and socks). We’ll wear the red stockings. Under their floodlights, they’ll show up more orange than red and our supporters will think that we’re wearing the colours of the Irish tricolour. That’ll please them. We certainly don’t recall Manchester United, Liverpool or Arsenal ever looking like they were wearing orange in old footage, and the Celtic Wiki states the socks were in fact orange, presumably taken from Leeds’ by-then-unworn third kit (featured here by John Devlin in a True Colours Kit Cupboard article, a series which is an ancestor of this). There are further eye-witness accounts here confirming that they were orange. 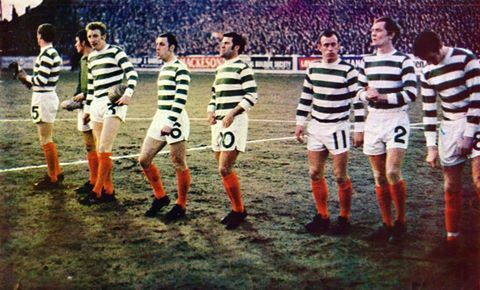 Certainly, they look orange in this picture of Celtic, compared with Leeds in the second leg, when the socks worn were definitely red. We’ll defer to former Celtic player and manager David Hay. In his autobiography Quiet Assassin, he touches on how Leeds tried to build a fear-factor and mentions the sock situation too. As he would have seen them in the dressing room before the game, without any perceived floodlight discolouration, his view has to be taken as definitive. Leeds also had this hard-man image. Norman ‘Bites Yer Legs’ Hunter, for a start. What sort of nickname is that? And, sadder still, he seemed to revel in this juvenile, daft moniker. Do you think for a split second his reputation meant a thing to the likes of Bobby Murdoch or Bertie Auld? Or me, for that matter? Don’t get me wrong; Leeds United were a good team. Excellent, even. But they weren’t at the same level as us and we knew it. They, too, would soon come round to our way of thinking. The off-the-field shenanigans went on right up until the kick-off. We were informed they had complained about our white socks to the referee. They were same colour as Leeds’, of course, but no-one made any mention of it until just before the start. As our kit men hadn’t packed alternatives, we had to borrow orange socks from our opponents. If that, too, was designed to faze us in any way, shape or form, it was another error on their part. We could have played in our civvies that night and still won. Celtic won the game 1-0 and then, at Hampden Park a fortnight later, beat a red-socked Leeds 2-1 to advance to the final. Sadly for them, they would be denied a second title in four years as Feyenoord beat them 2-1 in the final after extra time.